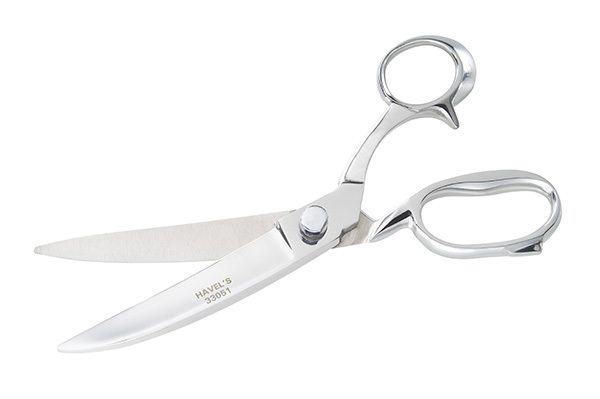 8 1/2" Heavy-Duty Curved Fabric Scissors Scissors for fabric, quilting, embroidery and more at Havel's Sewing. Your source for unique tools for your fabric arts. Big projects, small projects – our 8 1/2” Heavy Duty Curved Fabric Scissors work great for any kind of fabric art project you might be working on. These scissors are ideal for cutting large bolts of fabric, and can be used on many different types. 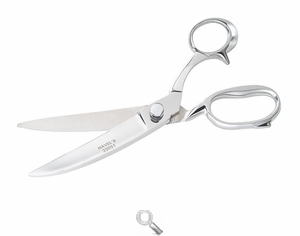 Made from stainless steel for a lifetime value, these scissors stay sharp even after multiple uses.